Buying a house is incredibly exciting, but it can also be quite daunting and confusing at times, even for people who have done it before, let alone for first time buyers. The process of buying a house takes around two to three months on average, although it can take a lot longer if there is a chain of buyers and sellers. Here are some of the things you will need to know about when buying your first home. Most first time buyers will need to get a mortgage in order to buy a house. First, you need to have saved up some money to put down for a deposit. The bigger the deposit you are able to put down, the better the mortgage deal you'll be able to get, therefore the less of a risk you will pose to the lender. How big a deposit is needed? Typically, first time buyers have to put down a deposit of at least 20%. However, with house prices having risen far more than wages in recent years, it has become almost impossible for first time buyers to save up that big a deposit, hence the introduction of certain government schemes to help first time buyers to get a foot on the property ladder. One of the first things that you may want to consider if you are buying your first home is the Help to Buy scheme. Help to Buy helps people afford to buy their own home up to the value of £600,000 with a relatively small deposit of just 5%. There are two separate parts of the Help to Buy scheme – Equity Loans and Mortgage Guarantees. With Help to Buy Equity Loans, the government gives you a loan to put down as part of your deposit, allowing you to put down a larger deposit and thus get a better mortgage. You need to contribute at least 5% of the property price yourself, and then the government gives you a loan for up to 20% of the price. You then need a mortgage of up to 75% to cover the remainder, which is obviously better than getting a 95% mortgage. With Mortgage Guarantees, the government provides a guarantee to your mortgage lender, allowing you to take out a mortgage with a deposit of just 5%. NewBuy is another government scheme worth considering if you are a first time buyer. The the home you are buying must be a new build, it must be priced at £500,000 or less, it must be your main home, it must be fully owned by you, and must be built by a builder taking part in the scheme. NewBuy allows you to buy a home that comes under this criteria with just a 5% deposit. When you want to take out a mortgage, you apply to a mortgage lender. They will then carry out an assessment of what you can afford, taking into account a wide range of issues, including your income, credit cards, credit history, loans, dependants and amount you spend on living costs. They will also take into account what the bills in your new home are likely to be, including council tax, gas, electricity, water and phone bills, and insurance. There are a wide range of mortgages available. 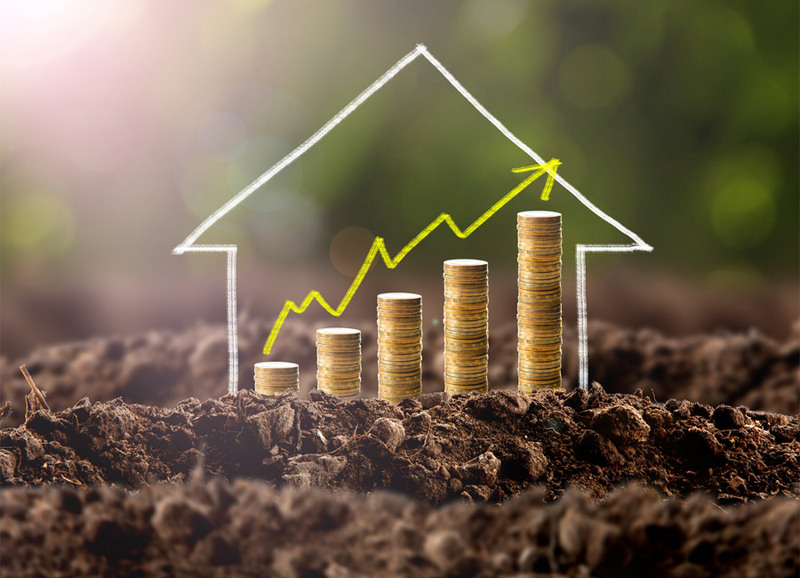 The interest rate of fixed rate mortgages stays the same for a fixed period of time, whereas variable rate mortgages are mortgages where the interest rates go up and down according to the Bank of England's base rate or the lender's standard variable rate. A tracker mortgage is one such example, tracking the Bank of England's base rate, with a set margin above or below it. A discount mortgage is another example, where the interest rate is discounted below the lender's standard variable rate for a fixed period of time. There are interest only mortgages and repayment mortgages. With repayment mortgages, you pay off the amount you borrowed plus interest over time, making a payment each month to your mortgage lender. With an interest only mortgage, you only repay the interest each month, and save separately to repay the capital. If you are buying a house for the first time, you might not realise the costs that you will have to pay; it's not just the mortgage deposit that you need to find. The following section looks at the key costs you will have to pay when buying a home, which you will need to factor in to your budgeting. When you take out a mortgage, you won't just be paying the cost of the deposit. Firstly, you will have to pay an arrangement fee for setting up the mortgage, which on average is around £1,500. Sometimes you can add this to your mortgage, but you will then have to pay interest on it. Finally, your mortgage lender will carry out their own valuation survey of the property to ensure that it is worth what you are paying for it. They arrange it, but you have to pay for it, with the cost normally between £200 and £400. You will need a property solicitor to deal with the legal aspects of buying a property, who will charge you either a flat fee or a percentage of the value of the property. Typical conveyancing fees are between £500 and £1,500 depending on the complexity of the transaction. To find out how much stamp duty you will need to pay, use our stamp duty calculator. When buying a house, it is highly recommended that you get a survey carried out by an independent surveyor to check if there are any problems with the property which you otherwise would not know about. The two main types of survey are homebuyer reports and building or structural surveys. A homebuyer report usually costs between £250 and £500 and covers the general condition of the property, including damp. A building report is more in depth, takes longer, looks at the structure of the property, and will most likely cost between £500 and £1,200. When you buy a property, you have to register as the new owner with the Land Registry. This is a government department which keeps records of all registered properties in England and Wales. They charge a fee to register your property, which is generally between £200 and £500, but varies depending on the price of the property. As soon as you have completed, the house is yours, and if anything happens to it or to the contents inside it and you don't have insurance, you won't be able to do anything. Your mortgage lender will require you to have building insurance to cover your new home, and you should also get home contents insurance to cover your belongings. Make sure you have seen your new property's energy performance certificate (which the seller must provide) so that you will know how energy efficient the property is and therefore how much it is likely to cost you to heat it. A property rated between A and C is above the UK average. When making an offer on a property, you make it to the estate agent. When you make the offer, it needs to be subject to the results of a survey and getting a mortgage. You do not need to offer the asking price. You can offer below the asking price, but you should justify why you are doing so, for example because of the amount of money you will have to spend improving or changing it, or because similar properties in the area have sold for less. Any information you can get can be useful when making an offer, for example finding out how much the current owners paid for it and when, why they are leaving, how the long the property has been on the market, and whether any offers have been received so far. Once the offer has been accepted, the surveys have been carried out and the mortgage has been arranged, it is the responsibility of the seller's solicitors or conveyancers to draw up a legal contract to transfer ownership. They will draft the initial contract, answer any questions from the buyer's solicitors or conveyancer and negotiate any details if necessary. Once it has all been finalised, both sides sign the final copies, which are sent to each other, and the agreement to buy and sell becomes legally binding. The money is then paid from the buyer to the seller, legal documents are transferred, the seller moves out leaving the property in the state agreed in the contract, and the keys are given to the buyer who now owns their first property. We hope this guide has provided an overview to some of the issues that first time buyers need to consider, but please do contact us on 01904 650650 if you have any questions or would like any information or advice.